Last night he said "absolutely" I would receive a tracking number today. well guess what....nothing. No response to email and text. I also got an email yesterday saying the wrong tracking number was given to them which I why it wasn't sent. Give me a break honestly, the lies is what really gets me. Rest assured I won't be giving up just yet. I look forward to seeing them at the next show and people say i always talk really loud! Having not had your experience but having read all the bad reports I certainly would not buy on line or order at a show for future delivery ........ but if I was at a show and saw something that I liked and I could buy it and take it away ....... I would. Please do not take that comment as an endorsement of said company. Oh and by the way welcome to 911uk ...... it's a shame your first post could not have been of a more positive nature but hopefully if you stick around that will change. 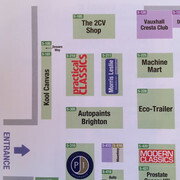 If anyone reading this is going to the Classic Motorshow at the NEC this weekend, Kool Canvas will be there. Do with that information as you wish. Secondly, be aware that trading standards require multiple complaints before they'll do anything. If you haven't already, do please let them know. It is amazing that this is one of two places on the entire internet to vent about this company, the other being the google maps result that no longer appears in searches. Thanks for the heads up, I'd suggest anyone else who has been constantly misled by these guys to attend. I got an email yesterday calling me a bitter individual (for having the audacity to check where my tracking number was for the last 2 months) telling me that he was "recalling" the delivery (the longest delivery ever with the courier company for which he could not provide a tracking number for) and for me to contact my credit card co. I paid by debit card so suggested my bank details - or he didn't need to "recall" the delivery and could continue on its happy way. No response. I'll update if there is a resolution on this in the meantime if anyone else has had similar issues please PM me andas above has mentioned a report to trading standards is in order. Thanks Madalaa, I've just sold my SC and on the lookout for a LHD 87-89 3.2 so hopefully positive news is forthcoming! 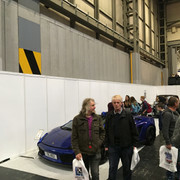 the only loser in this is your son... "
Well well well, I went to the Classic Car show at the NEC today, hoping to collect my order finally and be done with this whole thing and guess what? I asked around and apparently they’d cancelled at literally the last minute! I wonder if things are finally catching up with them, or maybe their manager’s cousin’s dog ate their van keys. Maybe those “little rants” were more damaging than he thought. Ah well. Is this the end of the story? Probably not. My thoughts exactly, does anyone know the owners name? If so, post it so that any unscrupulous actions can be traced! Let's add some keywords for google. Maybe that it why deliveries take so long? So I heard from Chris at Kool Canvas - he is adamant he recalled the package because I was being a prick! I inquired about a refund and he said that he "would come to my house and give me cash in person"
I found his manner aggressive and I could be wrong but I perceived that as a threat. Especially after he said to me please...please, please..come and see me at the shows! End of Sep nothing so started chasing him in Oct, always said it had been sent and tracking number will be sent later. Excuses ranged from rogue employees, locked out of office, courier company entered wrong number and couldn't be delivered! After 2 months of this I emailed Bicester organiser explaining my (and others) situation and cc'd him in. Got a response back in 15 mins! Needless to say he wasn't very happy.